It’s one of the newest Honda models and also a part of the ever growing segment of crossover vehicles. What are we talking about? It’s the Honda HR-V and it offers a ton of value in a small package. You can call it a small crossover or a mini-sport utility vehicle, but what you can’t call it is short on features. The HR-V is after all a Honda, so you know it’s going to be jam packed with all the options you could ever want. The most notable of these is the Magic seat option. If that feature sounds familiar, it’s because Honda’s Fit also shares this same cargo carrying feature. The Magic seat function allows you to fold the second row of seating flat in order to create floor to ceiling gear hauling capacity. It’s perfect for carrying tall objects like bicycles and plants. What else makes the Honda HR-V special? Fuel efficiency. Every Honda vehicle is engineered to provide optimum MPG, but the HR-V takes gas sipping to the next level. If you’re looking for a high quality and incredibly fuel efficient small crossover, you’ve found it in the form of the Honda HR-V. Buyers on a budget will also appreciate the HR-V’s low price point. In fact, it’s one of the most affordable Honda models in the entire lineup. That’s definitely saying something, as the automaker works hard to deliver dependable and reliable vehicles at a very reasonable cost. We could go on and on about all the amazing features and value that the HR-V provides, but would still be selling it short. Why not consider heading down to Fernandez Honda for a test drive? This will allow you to get a real feel for all that this mini sport utility vehicle offers. Fernandez Honda currently has some special HR-V purchase and lease offers for shoppers in the Universal City and La Vernia, TX areas. Just contact us online to learn all about the current HR-V specials and to make your test drive appointment. We can guarantee you’ll love the way you are treated at Fernandez Honda from the moment you walk through our showroom doors at 8015 IH 35 S. San Antonio, TX 78224. Honda just released the HR-V for the 2016 model year, so there’s been no major upgrades to the small crossover to this point. The factory did, however, add another exterior paint color option to the HR-V for 2018 known as Aegean Blue Metallic. There are three base trims to choose from in the 2018 HR-V lineup: LX, EX, and EX-L Navi. The EX-L Navi is the highest trim level available on the vehicle and includes premium options like leather trimmed seats, satellite linked navigation system, and other great features. The LX and EX trims also have many outstanding qualities, as well. Every 2018 Honda HR-V is powered under the hood by a four-cylinder engine that delivers 141 horsepower. While this isn’t a staggering amount of power, the 2018 HR-V isn’t designed for speed. Its primary performance advantage is fuel efficiency. Due to the small size and lightweight architecture of the vehicle, this powerplant does a more than adequate job transporting you on the roads in and around San Antonio. Honda sought to capitalize on the popularity of crossover vehicles with the introduction of the HR-V for the 2016 model year. The HR-V was based on Honda’s Fit platform, but took the form of a small crossover model for the automaker. The HR-V slotted below the CR-V and Pilot in the Honda lineup. The HR-V’s power was derived from a 1.8L i-VTEC engine that delivered 141 horsepower. Honda included the highly popular Magic Seat option in the 2016 HR-V (a feature also shared by the Fit) in order to offer more cargo capacity with the vehicle. In addition, Honda made the 2016 HR-V available in front wheel drive and all-wheel drive configurations. While the HR-V is one of the most recent additions to the Honda lineup, it’s already building a strong customer base due to its value, practicality, and affordability. Why Get Your HR-V at Fernandez Honda? Our San Antonio, TX Honda dealership offers the complete line of new Honda models, including the HR-V, at some of the lowest prices and monthly payments in the area. We’re also committed to providing a first class customer service experience whether you are buying or leasing a new or used vehicle from us. 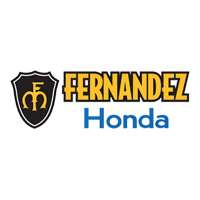 We invite you to visit Fernandez Honda today. We’re conveniently located at 8015 IH 35 S. San Antonio, TX 78224.